While there are plenty of people out there who sell their vehicles on their own and then take the cash with them to their Honda dealership, that requires a lot of extra time and potential frustration than simply bringing the vehicle with them to the dealership. Also, selling your car on your own too early could mean going without a car until you’re able to make your new purchase, where trading the vehicle in ensures there is no disruption along those lines. 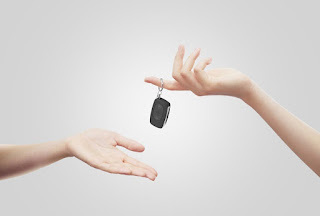 In terms of getting fair value for your vehicle, we pride ourselves here on getting drivers the fairest offers possible, mostly because we know the more you get out of your trade, the better chance there is of you taking home the new Honda Civic or Honda Odyssey you were considering in the first place. Of course, we will take a look at the vehicle once you bring it in, so make sure it’s cleaned out and cleaned up before heading our way. Also, bringing the title and any extra keys or fobs will save you a trip back later, so being prepared to trade the car in is a good idea, too. If you have any questions or are ready to trade your vehicle in for a new one, come pay us a visit any time and we’ll be happy to get you taken care of. Trading in is so easy at our facility, so hopefully we’ll see you here soon!